Raja Sitaram Ray (1658–1714) was a sovereign king. Raja Shitaram Palace has now almost been destroyed, but holds the history of many years in every corner of its building. He rebelled against the Mughal Empire and established a short-lived sovereign Hindu dominion in Bengal. In his early life he initiated Shaktism as he came from a Shakta family. 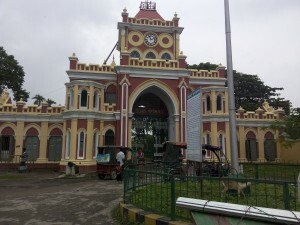 He set up capital in Mohammadpur where the palace is located and established a Dashabhuja Temple there. In course of time he became attracted to Vaishnavism and became a disciple of Krishna Vallabh Goswami of Murshidabad, who initiated belief in him. Sitaram established a pancharatna temple devoted to Hare Krishna in the village of Kanainagar to the west of the fort at Mohammadpur. 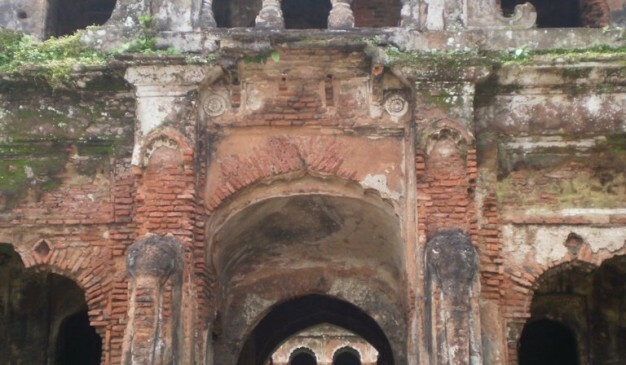 It is located in Mohammadpur Upazila of Magura district. 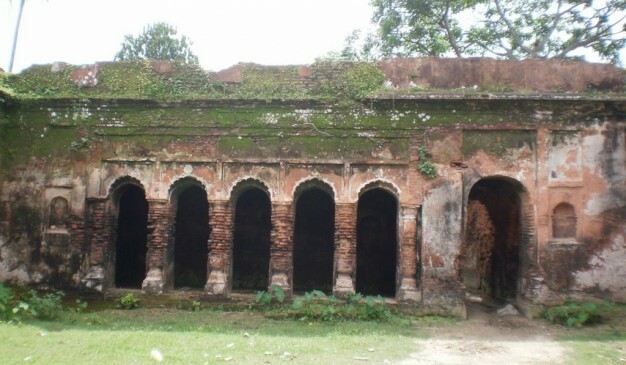 After reaching in Magura District, you can take any local transport to Mohammadpur Upazila to visit that ancient palace. Although Magura is a beautiful district, it lacks good accommodation facilities. There are no notable hotels to stay in Magura. Few hotels are available but their quality of service is likely to be disappointing. You can also find foods in this hotel. Magura does not have any specialties in terms of foods. They generally eat normal Bengali cuisine. There are no noteworthy restaurants within the district. Few roadside restaurants may be available but the quality of food and service is doubtful. 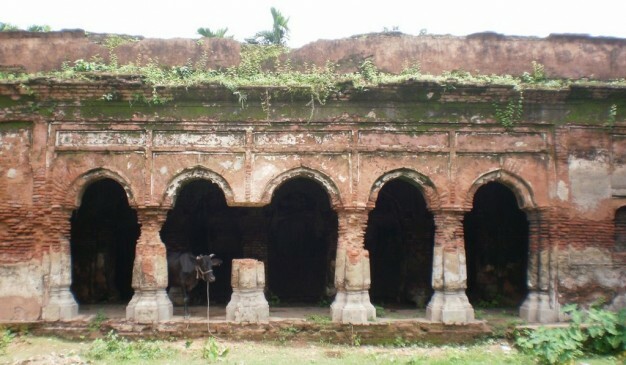 Nawab Faizunnesa Choudhurani (1834–1903) was Zamindar of Homnabad-Pashchimgaon Estate in present-day Comilla District, Bangladesh. She is most famous for her campaign for female education and other social issues. In appreciation of her social work, in 1889 Queen Victoria awarded Faizunnesa the title of "Nawab", making her the first female Nawab in South Asia. Early life and background: Nawab Faizunnesa Chowdhurani was born in 1834 in the village of Pashchimgaon under Laksham in the district of Comilla. 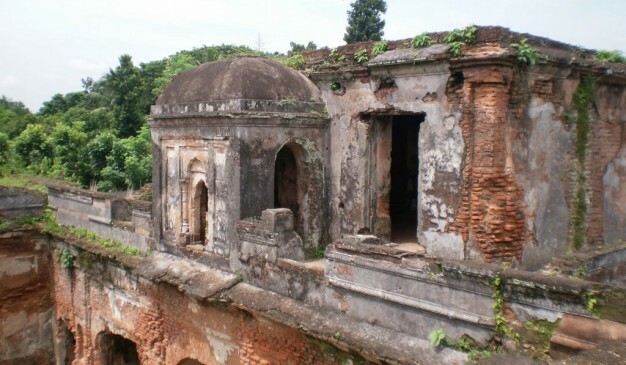 Her father was Ahmed Ali Chowdhury, a descendent of the Mughal emperors and zamindar of Homnabad-Pashchimgaon estate. 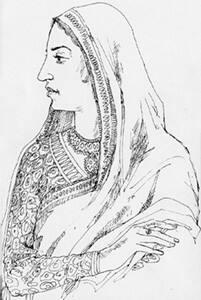 Faizunnessa was raised in a conservative Muslim family, where the women would maintain a strict purdah system. She received no formal education but she educated herself in her library during leisure time. She was proficient in Arabic, Persian, Sanskrit and Bengali language. In 1860, Faizunnesa was married to a distant cousin and neighboring Zamindar, Muhammad Gazi, becoming his second wife. But the couple became separated for an unknown reason and Faizunnesa began to live with her paternal family. Career and philanthropy: After her mother's death in 1883, Faizunnesa inherited her property and became Zamindar of Pashchimgaon. She became increasingly involved in social work after becoming Zamindar. 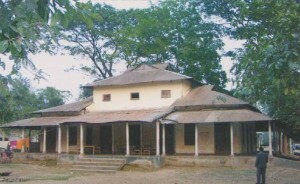 In 1873, Faizunnesa Choudhurani established a high school for girls in Comilla, which is one of the earliest female schools privately established in Indian subcontinent, which is now called Nawab Faizunnesa Government Girls' High School. She also founded a school at Pashchimgaon that was later upgraded to a college and now named as Nawab Faizunnesa Degree College. In 1893, Faizunnesa established a charitable dispensary in her village for women in purdah, particularly destitute women. She also built a hospital for women, Faizunnesa Zenana Hospital in Comilla. In addition, she built mosques and contributed towards the development of roads and ponds. Faizunnesa patronized different newspapers and periodicals, including Bandhab, Dhaka Prakash, Musalman Bandhu, Sudhakar, and Islam Pracharak. Before her death in 1903 she donated her entire property to the nation. Uttara Gonobhaban, often called Dighapatia Raj (sometimes called Dighapatia Raj Paribar literally Dighapatia Royal Family) was a zamindari in present day Rajshahi, which was ruled by this dynasty of 7 generations of Rajas from late 17th century till the mid-20th century; when the democratic government took power after the end of the British Monarchy’s rule in India, in 1950, the East Pakistan government abolished aristocracies and the zamindari system in present day Bangladesh. The family was seated at the Dighapatia Palace. The family contributed largely to the development in education, infrastructure and culture of Rajshahi and North Bengal. They were especially famous for their generosity and public spirit. 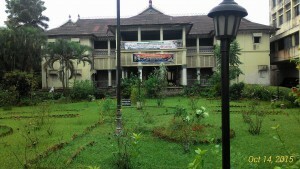 The Rajas built the Varendra Research Museum among other institutions of culture and education. The Rajas of Dighapatia were seated at the Dighapatia Palace. They received royal titles and titles of honor from the Mughal Empire such as Raja, Maharaja and Raja Bahadur and other titles from the British Crown, such as the Indian Orders of Knighthood. It is also known as Maharajas palace. 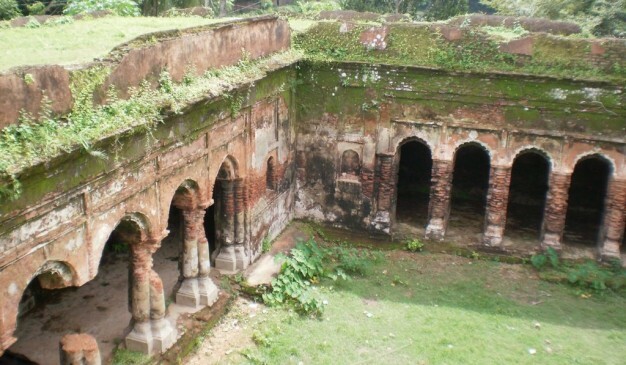 Raja of Dighpatia built it but it is used as residence for head of states in North Bengal. During regime of British Raj, East Pakistan many meetings took place. There is a marble front of late Raja Pramathanath Roy of Dighapatia. The first Raja was Dayaram Roy who, at a very young age, received the help from Raja Ramjivan Roy, the first Raja of the Natore Raj family, and eventually became his dewan. 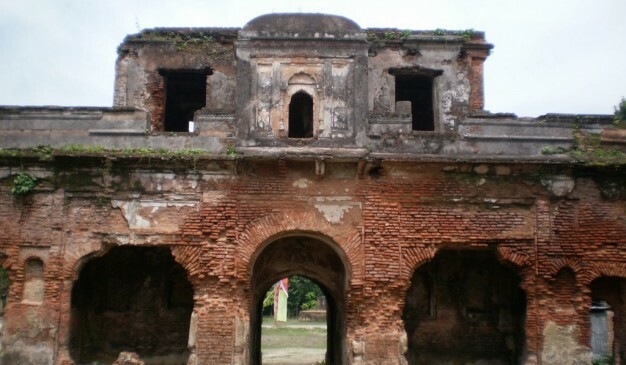 Raja Dayaram led the army of Raja Ramjivan in aid of the Nawab of Bengal in 1716 and overthrew the rebellious Raja Sitaram Ray, who was a zamindar(and later king, or Raja) of neighboring Bhusna state. 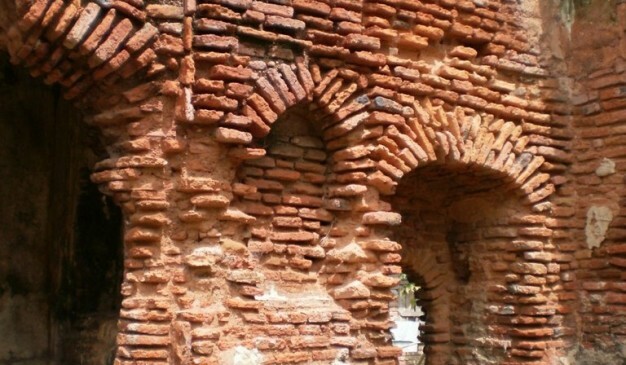 The sack of Muhammadpur, Raja Sitaram's capital, later enabled him to ultimately lay the foundation of the Dighapatia dynasty. For his loyalty, he received large tracts of land in Rajshahi and Jessore as grants and later acquired zamindari in Bogra and Mymensingh. Nawab Murshid Quli Khan, who was the nawab of Bengal under Emperor Aurangzeb conferred on him the title of 'Rai-Raiyan' in recognition of his services. When the Earl Cornwallis introduced the Permanent Settlement Act, a large number of the old feudal lords and zamindars created during the time of the Nawab Murshid Quli Khan could not meet land revenue standards and thus became defaulters. Their estates were sold up to a new class of wealthy lords. 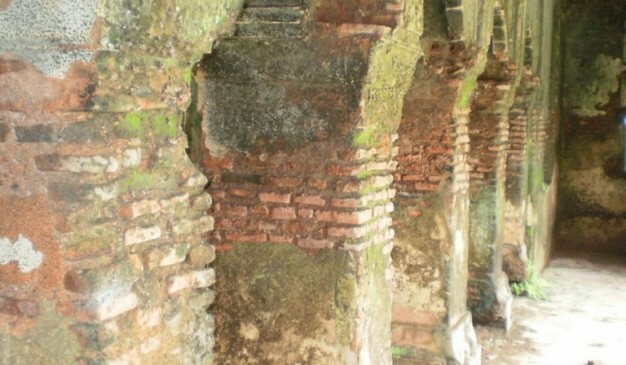 The Dighapatia Raj was one of the few remnants of the old decaying 'jagirdars'. They were avidly following European dress, wine, horse race and various such other external glamour of life. The princely western influence is reflected not only in their palace architecture but also in their furniture and other interior decorations. However, during certain ceremonial occasions they donned extravagant robes, jeweled turbans and carried priceless inlaid swords in dainty scabbard tucked at their waists, following the bygone fashions of the Mughal nobility even when the Mughal dynasty and their imperial rule had faded. Pran Nath Roy and Pramada Nath Roy were some of the important zamindars of Dighapatia.